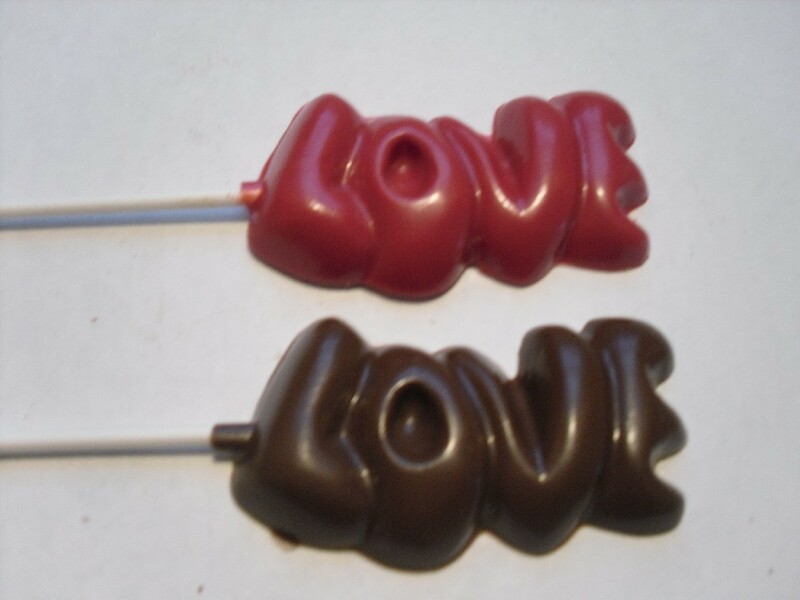 Show your love with these LOVE pops! These are available in chocolate, white chocolate, dark chocolate, mint chocolate, and mint white chocolate. Please specify which flavor you would like when placing your order. These are also available in white chocolate flavor but for any color (red, yellow, pink, green (light and dark), orchid, orange, blue (light and dark). Sugar free (plain milk chocolate) is also available but please contact me for the price on sugar free. They are always packaged with care and shipped Priority. This listing is for a dozen pops. Other quantities available are: 6 for 8 singles for 1.50 each.